Check out the Help Docs or watch the video to see the GQueues for Gmail Add-on in action. The GQueues for Gmail Add-on works on Android too! No more forwarding emails to create tasks from your mobile device. You can create and manage your GQueues tasks from the Gmail Android app. What are you waiting for? Install the GQueues for Gmail Add-on today! We all make mistakes. The new Trash feature in GQueues helps you clean up the mess! Launching today, the new Trash feature allows you to easily view and restore tasks up to 30 days after they’ve been deleted. Accidentally deleting a task happens to the best of us, and now you can safely purge old to-dos with no risk! If you share queues with your team, you can also restore tasks that your collaborators have deleted. Turn on notifications for deleted tasks, and then share queues without hesitation - vanishing tasks are a thing of the past. Check out the Help Docs or watch the video to see the Trash feature in action. 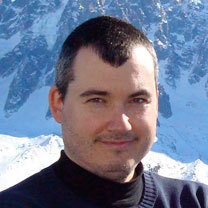 Over 100 beta testers guided the development of this feature, offering feedback and discovering bugs all along the way. Thanks for the help, everyone! If you (or someone on your team) has ever accidentally deleted a task, the new Trash feature has you covered! You may have heard, Google released the new Gmail makeover yesterday. 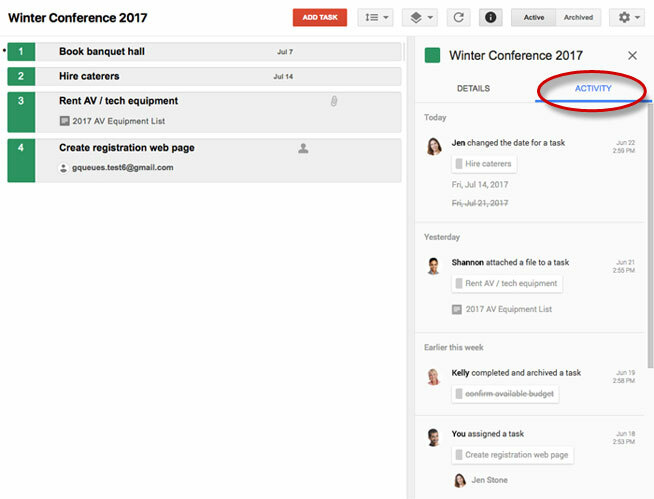 GQueues worked quickly to make sure you can still create tasks directly from your inbox with the new Gmail interface. Just launched on the Chrome Store, the update for the GQueues for Gmail Chrome Extension allows you to create tasks directly from Gmail, just like you were able to in the older version of Gmail. Not seeing the updates just yet? Auto-update takes about 24 hours. Version 1.1.3 is the updated version. Whether you are using the new Gmail or the old Gmail, GQueues for Gmail Chrome Extension now works with Preview Pane. Check out the Help Docs to see how easy it is to get started! Google Calendar recently updated its design and we at GQueues have been working hard to build one of the very first integrations for the new interface! Just launched, the GQueues for Google Calendar Chrome Extension allows you to view additional task details and mark tasks complete directly from Google Calendar. GQueues is already known for its very popular Google Calendar integration with real-time, two-way syncing of changes. This new extension takes things one step further, making you even more efficient as you manage your work. Check out the Help Docs or watch the video to see how easy it is to get started! A big thanks to the 90+ beta testers who helped find bugs and provide feedback during the development process! "I live in my calendar, so being able to manage my tasks from there is great!" 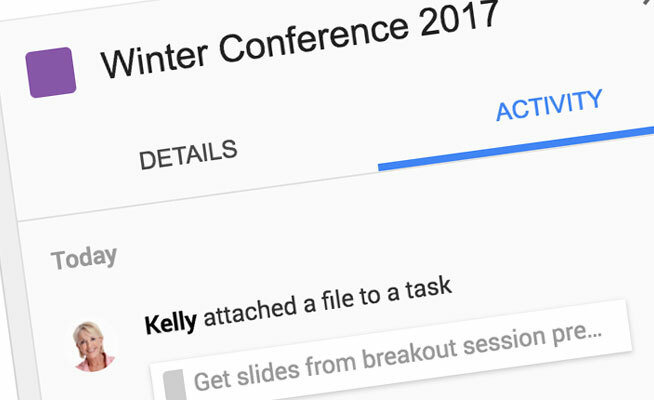 If you're an avid Google Calendar user, then managing tasks is about to get a lot easier for you! The Robo Raiders are a team of 13 high school students in Mascoutah, Illinois, who compete in FIRST Robotics. 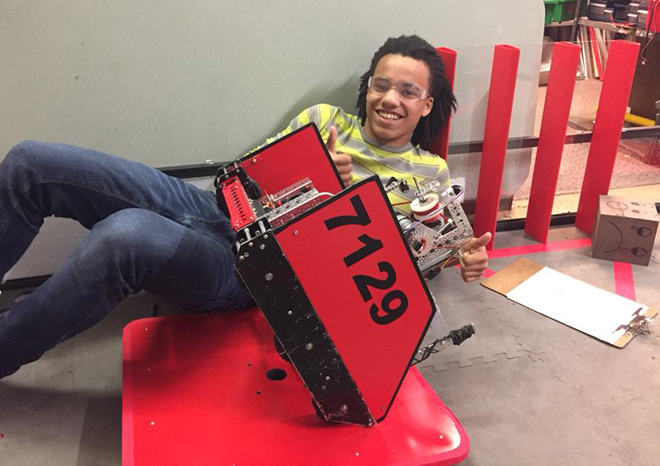 Along with the support of adult mentors they've worked hard to plan, design, build, and drive robots that have helped them win several prestigious awards since they began competing in 2009. For many years, the Robo Raiders organized their work and communicated about their progress via email. In 2016, Jason Rahm, one of the team’s primary mentors, noticed things were getting missed by students, and mentors were struggling to help students be accountable for their work. When Jason discovered GQueues, he knew right away that the collaborative features, simple structure and Google integrations made it a perfect solution for their team. To learn more about how the Robo Raiders use GQueues, read the full case study. GQueues makes it easy to share queues with others, allowing all collaborators to complete tasks, update details, and delegate work. However, we've heard from teams that they also want to know when specific changes are made, see who completed tasks, and receive notifications when tasks are deleted. With today's launch of the Activity Panel and expanded Notifications we're bringing users this functionality and a whole lot more! The new Activity Panel shows the history of all activity in a queue, which allows you to easily review changes made by you and other collaborators. All actions are grouped by date, and previous data is shown crossed out so you know exactly what changed over time. You can even filter the panel for particular types of actions, such as completing or deleting tasks, allowing you to quickly identify important changes. Watch the video below to see how the Activity Panel can help you track progress. The new expanded set of Notifications now provide alerts about ANY change in a shared queue. You can set the desired notifications for your entire account, and then customize those settings for specific shared queues. Want to know whenever a task is completed on an important project? Need to monitor when due dates change? Curious when tasks are added to your team's list? You can now trigger alerts for any of these events (and more!) so you're always in the loop. Watch the video to see how email and web notifications simplify communication with your team. This post is part of the GQueues 2017 Customer Success series. Every two weeks through March, we will feature a valued customer’s experience to showcase how their organization increases productivity, collaboration and efficiency using GQueues. To view all the success stories, please visit www.gqueues.com/customers. 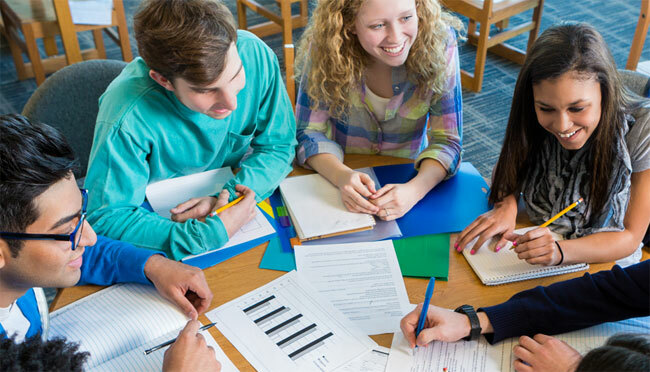 The Kentucky YMCA Youth Association provides year-round leadership development programs for middle school, high school and college students throughout the state of Kentucky. Their staff of 16 employees, interns and seasonal contractors work together to plan and implement opportunities for service learning, civic engagement and personal development. Amanda Chism, Senior Program Director, recalled that in 2012, the KY YMCA’s CEO noticed that staff were challenged with balancing several programs and set out to find a better way to manage their workloads. He was drawn to GQueues because it allowed him to manage more efficiently, while giving staff a tool to keep up with their tasks. Since adopting GQueues, Amanda observed that it’s brought noticeable improvements in efficiency and morale among her team. She tracks her personal and professional tasks in her individual account and encourages her staff to do the same. Amanda shares a queue with each of her employees, where they update tasks together during bi-weekly meetings. “GQueues has helped me become a better supervisor, and for my team, it’s provided organization and accountability that we did not have before,” Amanda noted. To learn more about how the Kentucky YMCA Youth Association uses GQueues, read the full case study.